There are several good reasons to make sure all of your plumbing and fixtures look good and are in good working order before putting your home up for sale. 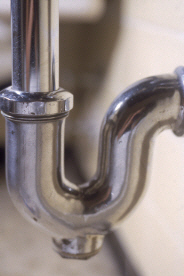 When potential buyers come to look at your home, they are likely to turn on faucets and flush toilets “just to see”. This is no time to make a bad impression with grungy old fixtures, leaks or stained sinks. Before showing your home, you should make sure that all faucets and knobs are clean and shiny. If needed, buy new ones. They don’t need to be expensive. An inexpensive but shiny and obviously brand new fixture will make a far better impression than an expensive but old and stained one. Another good reason to look after these items before putting your home up for sale is the likelihood of a home inspection prior to closing. Most savvy buyers will insist on allowing an independent contractor to perform a home inspection before closing. The inspector will be checking for leaks, pressure and making sure any appliances included with the home are in good working order. If the inspector finds any problems in these areas, it could easily cause a delay in closing.